A man who received permanent brain trauma when injured by a driver allegedly using the photo-sharing app Snapchat is now suing both the driver and the app’s developers for his injuries. 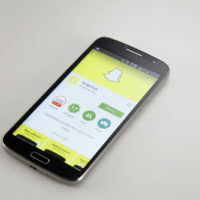 He claims that Snapchat was aware of the unreasonable dangers of its speed filter, which allows users to take photos printed with the speed at which they were moving at the time the photo was taken. On September 10, 2015, Wentworth Maynard was driving for Uber in Hampton, Georgia at around 11pm when he attempted to enter the highway on which Christal McGee was driving. McGee, then 18, was out with three of her friends, allegedly using the Snapchat app and its speed filter while behind the wheel and getting it to go as high as she could. As Maynard merged onto the highway, McGee slammed into his car’s driver’s side, sending it careening into the center embankment. Maynard suffered a severe brain trauma in the crash, spending the following five weeks in the intensive care unit. Since the accident, he has been unable to return to work, cannot get around without the assistance of a wheelchair or walker, and appears to have sustained permanent brain damage. He is seeking money damages to cover the costs he has incurred due to his injuries. If you’ve been hurt in a car accident in Idaho with a negligent or distracted driver, ensure that you are paid the full money damages you’re owed for your injuries and contact the personal injury attorneys at Pedersen & Whitehead for a free consultation on your case, at 208-734-2552 in Twin Falls or 208-336-2552 in Boise.